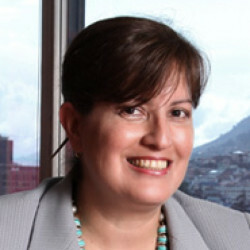 Ecuadorian civil law recognises the validity of mortgages on real estate property and of pledge rights over goods (movable assets) as well as on other licence rights or concessions, leaseholds, buildings, movable property, contractual rights, receivables, shares, securities, onshore and offshore bank accounts, entire enterprises, after-acquired property, proceeds from investments and the sale of collaterals. Basically, there are two types of pledges in Ecuador: ‘possessory pledge’, by which the secured party is given possession of the collateral, and ‘non-possessory pledge’, by which the grantor retains possession of the collateral. Rights in rem are formalised by way of a public deed issued by a notary public and recorded by the land property registrar of each municipality where the real estate assets are located. Registration can also be required by a judicial order for enforcement measures. Normally, notary and registration fees are reasonable, making it unnecessary to search for price optimisation methods. There are neither stamp duties nor other duties or fees to cover. Mortgages can be used to secure several separate obligations. Such obligations may be present or future, for a specified or unspecified price or amount or for income, social security and other taxes. Pledge rights need not be formalised by way of a public deed but must be recorded with the local mercantile registry. Other liens on movable assets, such as company shares, must be recorded in the company’s stock ledger. Registration means that secured creditors can follow a general method for achieving third-party enforcement of security rights in all types of movable assets. In every case, the documents have to be signed by the debtor. On the other hand, the most commonly used security interests in the Ecuadorian financial system are stock pledges, account receivable pledges and pledges on bank accounts and financial products. 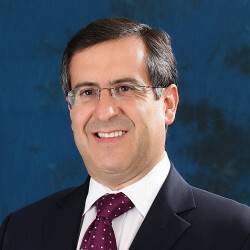 A legally licensed trust management firm (administradora de fondos y fideicomisos), acting in the capacity of trustee, is able to retain collateral on behalf of the project lenders as secured parties. In the event of the trustee’s bankruptcy, the trust (fideicomiso mercantil) set up to collateralise a transaction may be transferred to another trustee; and, the collateral that was a part of a trust as an independent equity will remain intact. The ‘parallel debt clause’ concept is not explicitly recognised in Ecuador; however, so long as it implies a private agreement among private parties, it can validly be consented to even as a cross-border security instrument. A creditor can assure itself as to the absence of liens with priority to the creditor’s lien either with a certificate from the land property registrar office regarding real estate property, or with a certificate from the mercantile registry for other goods or rights. In the case of shares, a certificate from the company’s legal representative, stating that no property liens have been registered in the company’s stock ledger, may be required. Another possibility is to obtain information on the debtor’s credit status and the types of obligations with third parties that the debtor may have, so as to know the rank or privilege with respect to collections that others could have. Labour and tax obligations usually have priority. Outside the context of a bankruptcy proceeding, a project lender may secure its rights by requesting judicial recognition of its credit, immediate payment and compensation of collection costs. The lender can record the judicial claim with the land registrar, as well as with the mercantile registry. If court enforcement is necessary to collect a debt, the procedure leading to a public auction is simple when credit is properly documented. At any time before enforcement and even prior to an auction, the creditor and debtor may negotiate and agree on new terms for their transaction. There are statutory notice periods for a sale that are notified by the court on a case-by-case basis. Project lenders can participate as buyers in a sale. Finally, Ecuador uses the US dollar as its legal currency, which means that an auction can take place to collect in US dollars with regard to any proceedings. A bankruptcy proceeding affects the lender’s ability to enforce its rights because it will have to compete with other creditors who could have greater priority for getting paid. Credits and other obligations have preference in the following order: taxes, employee rights, mortgages, ordinary debts and accessory debts. The only entities excluded from bankruptcy proceedings in Ecuador are state institutions and state-owned corporations. In Ecuador, procedures such as the appointment of a receiver are court proceedings and are part of the enforcement process. The enforcement of foreign procedures in Ecuador requires a local court order. The enforcement of a foreign judgment requires an exequatur procedure similar to that needed to enforce a foreign award. As explained, the US dollar is the legal currency in Ecuador. Additionally, Ecuador has no restrictions on foreign currency exchange. There are no rules preventing companies from holding offshore bank accounts in foreign currency. In this respect, Ecuadorian legislation has followed the non-intervention principle for the foreign exchange policy, taking an open-market approach. The current Organic Monetary and Financial Code, in force since September 2014, took on regulating and policymaking powers with respect to monetary and financial matters, because it allows all authorised entities of the national financial system to negotiate foreign currencies. Those entities are required to comply with certain reporting duties with the Central Bank of Ecuador. Ecuador has no restrictions on the remittance of investment returns. Nevertheless, a 5 per cent capital outflow tax (ISD) generally applies to payments made abroad. As a general rule, dividends and capital paid to foreign shareholders (non-resident individuals or companies) are tax exempt and therefore not subject to the regular 25 per cent withholding tax (WHT) or the 5 per cent ISD, provided the remittance complies with the specific tax rules for this exemption to be effective. Similarly, payments of interest or principal are tax exempt. To benefit from these exemptions, foreign loans must be for a term of at least 360 days, must be granted by financial institutions or qualified non-financial specialised entities and must be duly recorded with the Central Bank of Ecuador. Furthermore, the agreed interest rate cannot exceed the referential rate fixed by the Monetary and Financial Policy and Regulation Board by way of a resolution. Interest on direct or indirect loans between related parties is subject to the 25 per cent WHT and, if the loan is not recorded at the Central Bank of Ecuador, interest will not be regarded as a deductible expense. Additionally, if the interest beneficiary is domiciled in a tax haven or a lower-tax jurisdiction, it will be subject to a higher WHT and the 5 per cent ISD. Premiums on loans and bonds are subject to the 25 per cent withholding tax and to the 5 per cent ISD when remitted abroad. Notwithstanding the foregoing, public projects carried out under public-private partnerships (PPP) are exempt from the 5 per cent ISD with regard to all payments remitted abroad (including import payments). Companies operating in special economic development zones (ZEDES) are also exempt from paying the 5 per cent ISD. The Monetary and Financial Policy and Regulation Board, which is vested with macroeconomic powers, may establish conditions and limits on assets held abroad by financial institutions, stock and insurance entities, and non-financial entities that grant loans. With respect to project companies, however, there is no specific legal provision or regulation granting such power or creating an obligation to repatriate earnings obtained from investments abroad. Nonetheless, a presumptive capital outflow tax applies to earnings derived from export activities, when such earnings have not entered the country within one year and are kept in offshore bank accounts. Those earnings will be subject to the 5 per cent ISD. As mentioned in the answer to question 6, Ecuador has no rules preventing companies from maintaining bank accounts in foreign currency abroad. Local financial entities may only establish bank accounts in US dollars and are required to report all negotiations in foreign currency other than US dollar to the Central Bank. There are no restrictions on foreign investment in, or ownership of, a project and related companies. The only exception to this general principle is due to national security reasons: foreign individuals or corporations are banned from acquiring or holding any real estate property within border security zones or in those zones under concession contracts. Foreign investment and foreign loans must be recorded at the Central Bank of Ecuador within a period of 40 and 45 calendar days, respectively, from disbursement. Registering a foreign loan or foreign investment beyond that time frame is subject to a fine. Ecuador had executed two dozen bilateral investment treaties. However, all of those treaties were denounced on constitutional grounds, and the procedure for their termination has been initiated. The current government has mentioned the interest of entering into new reformulated treaties to that effect. Any insurance company offering insurance policies must be domiciled or incorporated in Ecuador. Prior to offering or executing any reinsurance contract covering project assets, foreign reinsurance companies need to be registered with the Superintendency of Companies, Securities and Insurance, in accordance with insurance regulations. There are no legal restrictions to bringing in foreign workers, but the employer must report their information to the Ministry of Labour, aimed at ensuring that those employees are granted employment benefits such as enrolment with social security. Foreign workers, technicians and executives must comply with immigration laws. There are no legal restrictions on the importation of project equipment, provided customs clearing procedures are completed and tariffs and taxes are paid in due course. There are no specific laws regarding the expropriation of project companies or assets. Nevertheless, PPPs may benefit from tax and legal stability under certain conditions. Despite the return to the 25 per cent rate on corporate income tax rate as of 2018 (previously, 22 per cent), the Ecuadorian government is determined to increase tax incentives to attract foreign investors. Dividends and profits paid or credited by local companies to non-resident companies or individuals are tax-exempt, except when the non-resident company or individual is domiciled in a tax haven or a lower-tax jurisdiction. All companies incorporated as a PPP are entitled to income tax exemption for 10 years as of the first year they produce operating revenue. All dividends and profits payable to shareholders are also tax exempt, regardless of the beneficiary’s domicile. Companies developing digital technology enjoy income tax exemption for five years. Merging entities from the people’s and solidarity financial sector also enjoy tax exemption for five years. New microenterprises are exempt from paying income tax for three years. In addition to these tax incentives, Ecuador has executed many bilateral taxation treaties providing reduced tax rates or straight exemption from withholding taxes. Among the key nations are Brazil, Belgium, Canada, Chile, China, South Korea, France, Germany, Italy, Mexico, Switzerland, Romania, Spain, Uruguay, Qatar, Russia and Belarus. Furthermore, Ecuador has a multilateral agreement in place for this same purpose with the Andean Community comprising Colombia, Ecuador, Peru and Bolivia. The most relevant projects in the country’s history have been carried out by government entities, across almost all strategic sectors (oil and gas, mining, chemical refining, water treatment, power generation and transmission, transportation, ports, airports and telecommunications). Some of these activities have been delegated to the private sector. Presently, the government is employing its efforts to demonstrate its interest in boosting private participation. Since May 2018, the entity in charge of public policies regarding oil and gas, mining, chemical refining, and power generation and transmission is the Ministry of Energy and Non-Renewable Resources. The Ministry also presides the National Infrastructure Committee, recently created to define new major infrastructure investments for the aforementioned sectors. The strategic projects in all those sectors are carried out by state-owned corporations subject to the Ministry’s oversight that have privilege for exploring, producing, transporting, refining and commercialising natural resources, while private entities (foreign or local) may participate only on an exceptional basis. The main state-owned entities belong to the hydrocarbons sector: Petroecuador and Petroamazonas, presently in a merger process. In the power sector, the sole public actor and project developer is CELEC EP (and subsidiaries); and, in the mining sector, the public enterprise ENAMI EP, which holds the state’s interest in some of the largest investment and most relevant mining investment projects. The Ministry of Transportation and Public Works is the policymaker regarding road, port and airport concessions, besides being the grantor of concessions, permits and authorisations for these types of infrastructure at the national level. By delegation of competence to local governments, municipalities and provinces develop medium to small infrastructure projects. Besides being regarded as a natural resource, water in Ecuador is subject to a special treatment since it is deemed to be a human right and therefore is a strategic sector of the economy. The state policymaker in the water sector is the Water Secretariat; the agency in charge of water regulation and oversight is the Water Regulation and Oversight Agency. In addition, EPA EP, a state-owned company, is in charge of contracting (design, construction, operation and maintenance), managing and supervising the central government’s water infrastructure projects. Local governments (regional or municipal entities) are responsible by delegation for contracting regional and urban projects. There are specialised oversight agencies for each sector. The telecommunications sector is under the direction of the Ministry of Telecommunications and Information Society and regulated by the Telecommunications Regulation and Oversight Agency. Ecuadorian civil law defines ‘national assets’ as assets belonging to the entire nation, as is the case of biodiversity. If, in addition, assets can be used by all inhabitants, such as in the case of streets, squares, bridges and roads, the adjacent sea and its beaches, perpetual snow-capped Andean mountains and areas at least 4,500 metres above sea level, then the asset is called a ‘public good’. When national assets cannot be used by inhabitants, they are called ‘state assets’ or ‘fiscal assets’. The Constitution declares that hydrocarbons, minerals and non-renewable soil resources are state assets and, therefore, the state’s unalienable property. Private foreign or Ecuadorian persons cannot acquire state assets as their own property. In the hydrocarbons sector, private foreign or local persons are entitled to be awarded a contract after having won a public bid for developing (exploration and production) oil fields for which the state-owned Petroamazonas EP does not have the technical or financial capability. The contractor, which is deemed to be only a specific services provider, will not be regarded as the owner of the underground reserves. Furthermore, in the mining sector, the state owns, manages, regulates and controls every mineral and non-renewable natural resource within national territory. Nevertheless, and on an exceptional basis, the state can delegate extractive activities to private persons (whether foreign with legal domicile in Ecuador or local) by granting mining concessions for up to 25 years. Awarded concessionaires have exclusive rights to explore, mine, process and commercialise any type of minerals found within the boundaries of their concessions. Contractor or concessionaire rights are acquired and exercised pursuant to environmental licences granted by the Ministry of the Environment for every activity in each project, starting with surveying up to production, based on an ‘independent environmental impact study’. The contractor or concessionaire will be considered the ultimately responsible party for any environmental impacts (including damage) in communities inside the project’s area of influence. The state promotes a sustainable and balanced environment in ‘ancestral territories’ and grants legal security to communal lands of indigenous peoples and nations, in accordance with the Constitution and international collective rights treaties. Environmental impact studies include a referendum to be conducted for the communities inside the project’s area of influence. The community’s rejection of a project may provide grounds for the government to discontinue the project. The liability of the contractor or concessionaire also applies to damage caused by subcontractors or even third parties within the area of influence. Environmental damage may trigger the unilateral termination of the contract by the government unless remediation is timely conducted. Based on constitutional equality and non-discrimination principles, mining concessionaires and mineral industrial facilities (foreign doing business in Ecuador or local) must declare and pay yearly royalties (on a semester basis) for each concession in the mining phase and for every processing plant. The constitutional principle declares that the state will benefit from the use of mineral resources in at least the same percentage as that of the concessionaire. For the types of mining listed above, production costs include all direct and indirect costs incurred during the mineral mining phase and does not include any value as royalties. Mining concessionaires can freely market their production inside or outside the country, with a licence to serve this purpose. However, gold from small-scale mining and artisanal mining is sold directly by the Central Bank of Ecuador or through the Central Bank’s previously authorised public and private economic agents. The exit of merchandise to or from Ecuadorian territory is done only through the designated places and on the days and times authorised by the National Customs Service of Ecuador. Any means of transport entering the customs territory must undergo control. For a transaction among private parties, no specific approval is required other than as would be otherwise applicable for the specific action. For instance, as explained above, a foreign loan must be recorded with the Central Bank of Ecuador and withholding income tax applies to interest paid above permitted rates. Also, remittance of funds is subject to the 5 per cent ISD. Additionally, an investment agreement may be signed by the investor to access tax stabilisation. Public private partnerships are specifically regulated by statute; in order to benefit from the various incentives, several requirements must be met. Financing or project documents need not to be registered or filed per se. However, foreign loans must be recorded with the Central Bank of Ecuador. Regarding formalities, should a document need to be filed with a governmental entity for whatever reason or submitted to the courts, it must be translated into Spanish and, if issued abroad, authenticated through an apostille or by the competent foreign service officer. International arbitration contractual provisions are recognised, as long as one of the following conditions is met: (i) one of the parties is domiciled outside of Ecuador, (ii) a substantial part of the obligations or the matter in dispute is located outside of Ecuador, or (iii) it refers to international trade (unless it is a non-arbitrable matter or national interests are affected). The scope of the latter exception may still be subject to debate but could be interpreted as involving certain state prerogatives. Regarding the enforcement of foreign awards, Ecuador is a party to the New York Convention. Enforcement needs an exequatur from the provincial court, which will be granted subject to certain requirements, such as authentication, translation and evidence that the award is res iudicata and that due process of law was guaranteed for the parties’ defence. If the state is involved, the award must not violate the Constitution or the law. As a result of the 2009 denunciation of the ICSID Convention, Ecuador is no longer a member. According to the Arbitration and Mediation Law, only arbitral matters that can be the object of compromise could be submitted to arbitration. This provision may leave out certain rights that cannot be renounced from a valid arbitration agreement. Generally, Ecuadorian law applies to contracts regarding goods or obligations located in national territory. Financing agreements executed abroad with foreign lenders may be subject to foreign law and jurisdiction, and the judgment issued by a court abroad may be enforced in Ecuador. 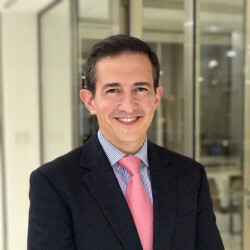 Owing to constitutional and legal constraints, the argument is that the state cannot be subject to international arbitration, with the exception of arbitration conducted at a Latin American site. Prior authorisation from the Attorney General of Ecuador is necessary for the state to submit to international arbitration. The Arbitration and Mediation Law expressly allows submission to foreign jurisdiction law for matters that are subject to international arbitration, where the parties are free to agree on the substantive law applicable to the dispute. A waiver of immunity would not be effective or enforceable if it goes against Ecuadorian public law. The national authority on environmental policies and affairs is the Ministry of the Environment, and the national authority on labour policies and affairs is the Ministry of Labour. the telecommunications sector is regulated by the Organic Telecommunications Law, under the direction of the Ministry of Telecommunications and Information Society and the oversight of the Telecommunications Regulation and Oversight Agency. The principal business structure for project companies is the corporation by shares. This can only issue nominative shares, which are recorded in the company’s stock ledger and can be freely transferred. Any transfer of shares must be reported to the Superintendency of Companies, hence shareholding information becomes publicly available through the Superintendency’s website. Information on foreign shareholders and their ultimate owners in the chain of ownership must be notified to the tax authorities each year. The other popular type of company for small, professional or family businesses is the limited liability company. However, this form of company imposes a significant restriction on the transfer of shares, which requires the unanimous authorisation of all shareholders, thus discouraging the use of this type of corporate vehicle. For a complex business structure, the use of a trust may be suitable. The trust is a legal entity under Ecuadorian law that can hold property, including shares issued by corporations. The trust is legally represented by specialised trust management firms that must follow instructions as agreed in the trust contract. The fideicomiso mercantil has become a flexible and very useful mechanism for ensuring the assignment of cash flows and the transfer of property following contractual agreements. Financing in Ecuador may be available through the banking system, as well as in the securities market. Despite regulatory efforts, securities markets have not yet developed as desired. Project companies may seek financing through multilateral organisations as well as foreign financial institutions. Foreign loans must be recorded and are subject to certain regulations with respect to interest rates, withholding taxes and so on. In December 2015, the Ecuadorian National Legislative Branch enacted the Organic Law on Incentives for Public-Private Partnerships and Foreign Investment, which allows the private initiative to propose, develop and execute by delegation of the state, public-private projects in alliance with central entities including state-owned corporations or with local governments and affiliated entities. A specialised regulation for each project may be applicable from the perspective of the sector and industry where the project is carried out. A PPP project may cover the design, construction, improvement, procurement, management, operation or maintenance of an existing or a new public work for the provision of a service of general interest, under specific delegation by the state or for the construction and commercialisation of real estate projects and urban development works for a social interest. Other activities may be rated as priority by a central government interinstitutional committee. According to this law, each public-private partnership project may define its specific method for investment and compensation. The limitations on developing a PPP project are based on the legal framework that defines the legal capacity of the participating public partner to act within its regular competences in a project such as the one proposed for the PPP; and the financial ability and expertise that may allow the private partner to qualify as suitable for public interest, in the opinion of a special committee of the executive branch authorising the endeavour. Other specific limitations on PPP projects are defined by the interinstitutional committee once the terms of reference for selecting a private partner are defined for the specific project. The particular characteristics of the project may require specific types of experience or financial status, know-how and so on. Even though the PPP implies the presence and performance of a partially private entity acting on behalf of the state, the PPP is not an exclusive licence in favour of the private entrepreneur. Nonetheless, once the private partner executes the delegation contract under the structure of the PPP, the Ecuadorian state grants legal stability for the PPP in the conditions and for the time agreed. Tax benefits, including income tax exemption, apply depending on the location of the project and the investment contract ascribing tax stability. Since December 2015, the Republic of Ecuador has signed only five relevant PPP projects, all of which are related to harbour facilities. For all these projects, the plan is for private partners to carry out the design, construction, enhancement, procurement, management, operation or maintenance of existing and new harbour facilities destined to providing services under specific delegation by the state. The largest of those projects could be the Posorja Harbour with a US$1.2 billion investment by DP World (Dubai), which will manage the port until 2066. A bill is currently in the legislative pipeline to create more incentives to attract foreign investment, which includes longer tax holidays and a potential reduction in the rate of the capital outflow tax.